I’m sure that many of you will have heard of the company graze, a service that mails boxes of delicious yet healthy snacks to your home or work. The traditional boxes that they send out are each packed to the brim with four different snacks (which makes them perfect for a week’s worth of mid-morning munchies) and yet are slim enough to fit through your letterbox so you don’t need to wait in to receive them. This service is brilliant and so easy to set up online as it is completely customisable to suit your needs. The real stars of the show however are the snacks themselves, dayyym they’re good! The whole point of graze is to provide healthy yet tasty snacks and they do it so well. They offer healthy nibbles such as nuts, seeds and olives with flavoursome twists and they also offer more ‘naughty’ snacks such as flapjacks and brownies that they have managed to make healthier than their usual variations. Each box that you receive includes a little booklet detailing all of nutritional information about each snack so it is really easy to keep an eye on what you are eating, not that you really need to as every single snack that they offer has at least one health benefit to it! I recently realised that I no longer wear much jewellery which is weird for me as I used to have a bracelet obsession and would wear as many as I could feasibly fit on my arm! Now the only thing you will see on my wrist is my beautiful Olivia Burton watch that I wear almost every single day so I thought it was only fair to write a post dedicated to my most favourite accessory. As I alluded to in my previous post, I recently discovered a list of the ten most googled beauty questions of 2014. 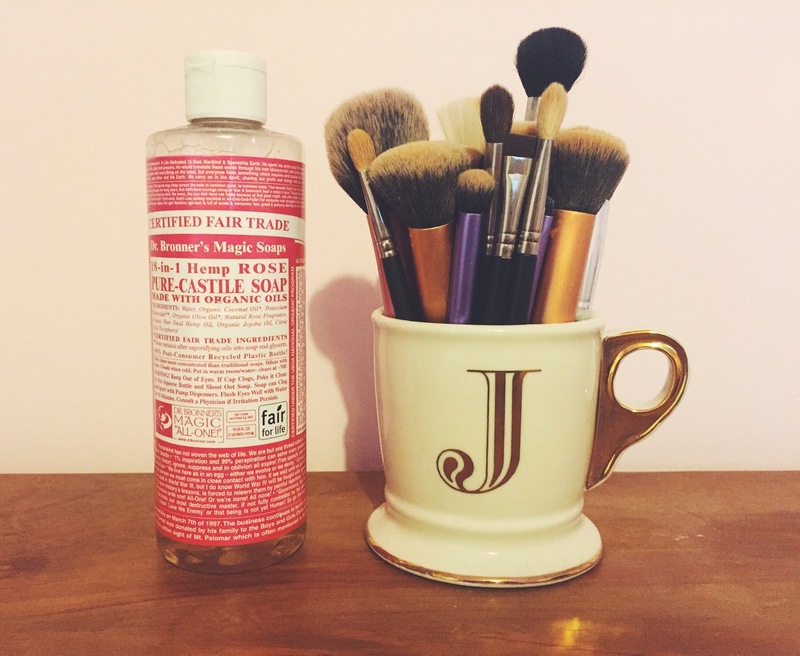 I wasn't surprised to see that 'how to clean makeup brushes' was in the top five as there are many different methods out there and it can all get a bit confusing. I remember when I had just started wearing makeup at 13, I used to 'wash' my brushes about once every six months by letting them soak in a sink full of soapy water for a few hours before I would dry them off and start using them again. Needless to say, that was not a great way of washing my brushes at all and I have gotten slightly better at it now. So today I thought I would share with you my hints and tips for cleaning your makeup brushes properly. © Jessica Bird Lifestyle | All rights reserved.